Don't want to spoil your day but did you know postage prices increase on January 22, 2012. The first class stamp is going from .44 to .45, post cards are increasing by 3 cents from .29 to .32 and mail to Canada and Mexico is increasing by .05. 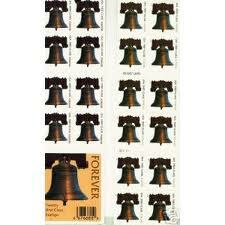 I'm just curious if people are buying up all the forever stamps, I should go get some myself.